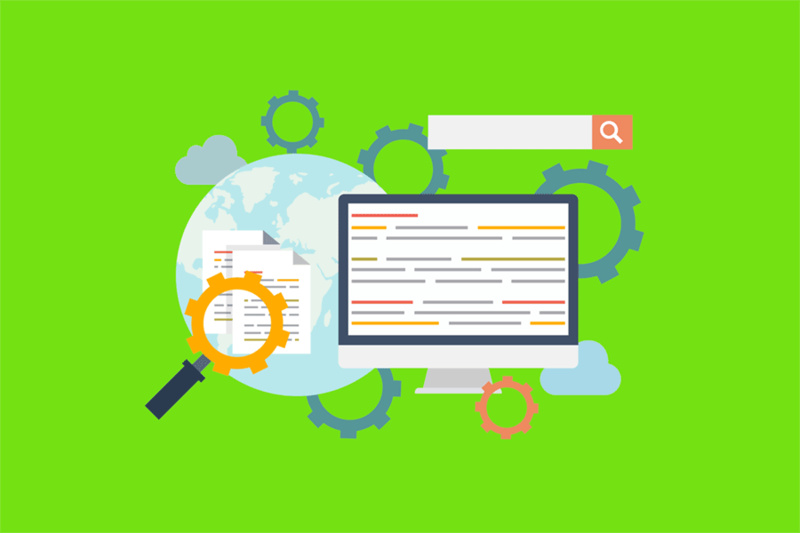 Google Search Console (also known as Google Webmaster Tools pre-2015) is a free service, provided by Google, that lets you peek into some great information about your website. If you’re not using this right now – you should be! You can use it to submit your site to Google, report on how many people are finding your website from Google, where your pages are ranking on search engine results pages (SERP). Plus, you can view how many people visit on mobile devices versus desktop computers. Check it out! Jesse: Hey, everyone. Jesse Dolan and Bob Brennan back with you for Local SEO Tactics, and we’re coming at you this week, gonna get a little bit more technical. Last few weeks, we’ve talked about some tactics and went through some tools, get into some strategies, handling phone calls, and a little bit outside the SEO territory. Today we’re gonna dive headfirst right back into a product everybody should be using. If you have a website, if you’re trying to manage your SEO and you’re doing anything with Google – which you should be – if you’re doing anything with SEO, you’re gonna wanna use this. It’s called Google Search Console. Anybody who’s kind of been in the marketing and digital world for a while, it used to be called Google Webmaster Tools. It’s now called Google Search Console. It’s completely free and definitely a product that you gotta get signed up with to manage your SEO and see what’s happening. We’re gonna take a tour of it, kind of walk through some of the most important aspects and areas that you’re gonna be using and checking out with it. But first, just kind of a quick overview for what the heck is it, and why do you need it? So, basically, when you make a website, you just make it. Just because you publish it and it’s live and we can visit it doesn’t mean it’s automatically gonna get taken up by Google and be exposed for the whole world to see. So what Google Search Console is is it’s kind of a communication console between you and Google, to say, “Here’s my website or websites.” You can have multiple websites. This is where you would have a … How should I say? This is where you basically have a dashboard for what are all your websites, what are all your properties, have you submitted them to Google, what’s the current status in Google? We’ll walk through and show you, there’s lots of cool things – even what kind of visibility are you getting in Google, are they showing your pages, what pages are they showing, and all kinds of cool stuff. Completely free. You do have to verify that the websites that you’re putting in there, that you own them. You can’t just plug any old website in there. So there’s gonna be a little bit of technical how-to to get this hooked up so you can get this, but it’s gonna be well worth the effort. Again, if you have a website, you definitely gotta be using this. It’s gonna give you insight that you’re not gonna get anywhere else. So, with that, let’s just talk about how to set up your account. Bob: … “Wow.” You know what I’m saying? Jesse: Yeah, I think weekly, for sure, at least when you’re starting out. It kind of depends on what you’re doing with your website. Jesse: If you’re actively making some changes and you’re adding pages, adding media, different content, and you’re wanting to see what’s happening with it, then definitely weekly. You could go more frequently, but there’s a bit of a lag. This is not necessarily like a real-time tool. Jesse: There’s some aspects of it that may be more real-time than others, but, in general, I would say probably weekly, and if your website has kind of plateaued for the amount of content you’re putting on there or what you do with it, or you just don’t put a lot of stuff on there each week, then definitely at least monthly. I wouldn’t go any less than monthly. If you’re going farther than that, you’re kind of ignoring it. Google’s rolling out algorithm updates kind of on a monthly basis here. Some are much larger than others, and, at the very least, you’re gonna wanna be aware of what’s happening on there. So if you catch something on the different news subscriptions you might have or Twitter, whoever you’re following for what kind of updates are happening in SEO world, if you catch wind of something or on Facebook or whatever, go here to see if it’s impacting your website. It’s something that you can’t overuse, like in a negative way, unless you are watching it driving your car and you crash. Jesse: But there’s no negative impact as it relates to your website and things like that. More just a waste of time. Jesse: But if you’re super curious or if you have a really big website and you really are adding a ton of pages and making a lot of changes, then checking it daily as sure as heck ain’t gonna hurt you. But I guess the rule of thumb, not to be too long on the answer, is if you start checking it daily and there’s nothing changing, stop checking it daily and just kind of keep backing up. Jesse: So, yeah, what was the other part of your question? Bob: Just that overuse piece, in terms of, again, time waste. Jesse: Sucked into using it. Bob: It tells you the health of your site, but then, more importantly, like you were saying, it isn’t 100% accurate. It has some lag time to it. Jesse: … of gasoline you have left. Kind of similar here. There are some things we’re gonna get into. It shows you what pages, what your average page rank is, or maybe the exposure it’s getting. Don’t take those numbers to the bank as an absolute stat. There’s other tools we’ll get into in other episodes, like Google Analytics, which is another free tool. You can go check that out. This is kind of your 20,000-foot view for certain stats, but then other pieces of information for … This is where Google’s gonna communicate to you maybe some negative things, right? If there’s … They call them manual actions. If there’s some things you have to do to your website that need to be corrected and fixed, something like that is gonna be extremely explicit and specific. You’re gonna wanna pay attention to that. But as you get into more of the stats for what kind of traffic exposure or page ranking you’re getting, that you’re gonna wanna take as kind of more of a general guideline than an absolute stat. So hopefully that answers that. So where we’re gonna wanna go to get this is … This is, again, a free account, and just like your Google My Business page – we talked before about setting up with that – or Google Ad Words, if you’re gonna use the keyword research tool, same thing. If you have an account with Google, whether it be a Gmail or your private email, you’re gonna log in with that same account here. Now, at this point, your very next step is gonna be to add your property. It’s important to note if your website is a secure website with SSL security – so it’s gonna be an https website – that’s how you’re gonna wanna enter it in, because whatever you enter in here, this is what you’re gonna be reporting on. Enter that into your property, and now you’re gonna have to verify your website. So they’re gonna present you with a couple options on how to do that. The easiest one that we prefer, because we use WordPress for most of our websites, is to apply an HTML tag. You’re gonna have … I think it’s three different options with radio buttons for you to select which version are you gonna use to verify your website.